Swamp bay is smaller than red bay, (var. 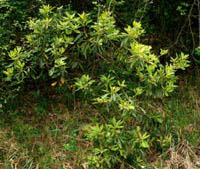 borbonia), and the lower surfaces of the leaves, fruit stalks, and young branchlets are covered with shaggy brown hairs. It grows in wet areas in southeast Texas. 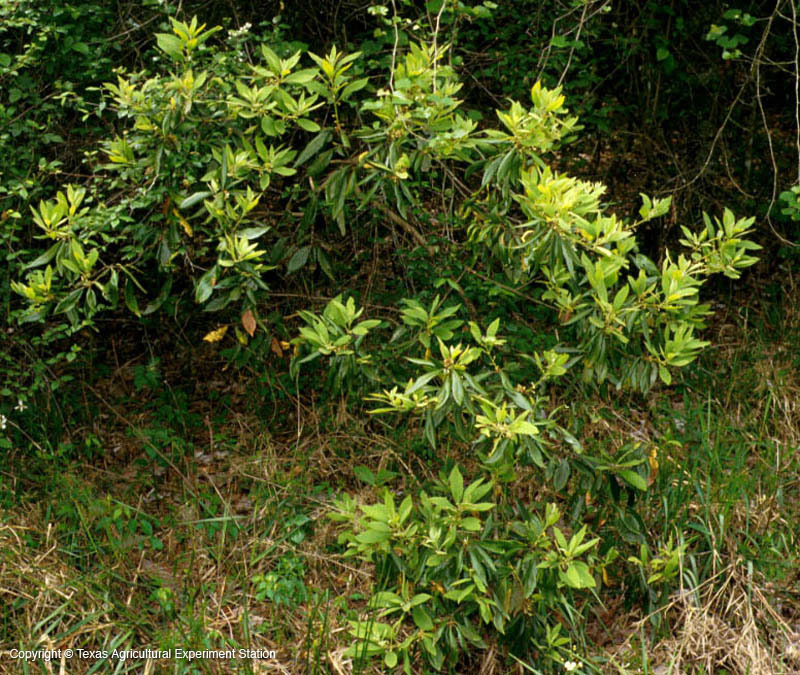 It has been called both Persea pubescens and P. palustris, and some authors consider it the same as P. borbonia.